Small news today from Nintendo. In preperation for their Super Smash Bros. 4 (Wiiu/3DS) heavy Nintendo direct, they revelead on their Japanese twitter account (Yes, Japan has twitter) that the Nintendo direct will go as planned but it will not detail the game’s release date. Okay, honestly, I got it from Siliconera.com. But, I can read it. So, no release date, but there are still some details to look forward to. Like new characters, new stages, a public playtest demo date and location possibly E3 or TGS. Story Update: Woah, Woah, Hold Up. It’s now reported that when both games come out, they will both come out on different seasons. According to the Nintendo Direct Stream, The 3DS version will come out first during the summer and the Wii U version will come out winter. Possibly to ensure that no version takes priority over the in the case of simulatenous releases. The 3DS version promises to runat 60fps a standard for arena spectacle fighters. But here is where it gets weird. 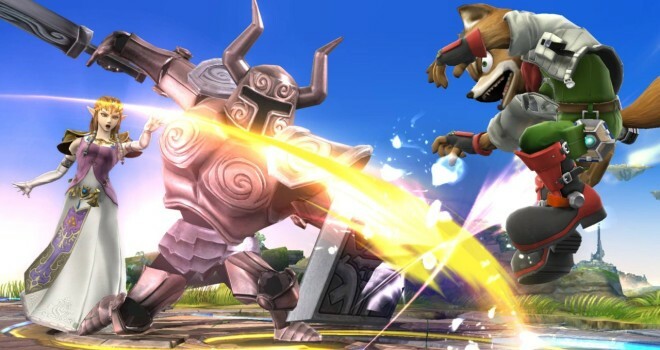 Sakurai reveals that the game’s frame rate changes to 30fps because of the Pokemon.